One of the safest holiday destinations in Southeast Asia is Vietnam. You can have your family holiday or vacation with comfort and a peace of mind. This is due to friendly population and relatively low crime rate even at night. However, having a wise travel plan is still mandatory if you want a journey of free hustle. It is therefore prudent to have adequate travel insurance for your trip to Vietnam. There a several insurance policies for all categories of people traveling to Vietnam. As a student you can have the best student cover that you can afford. In short, it is risky to compromise your Safety of travel to Vietnam on holiday or visit to Vietnam for the sake of just small amount of money. All these said and done, it is worth having in mind that there are always incidences of petty theft especially when in a new country. Don’t let such petty incidences spoil your holiday. Always take adequate precautions and keep on track your Safety of travel to Vietnam. Firstly, Safety of travel to Vietnam in big cities like Ho Chi Minh City and Hanoi city, there are rampant cases of petty theft such as drive-by-bag snatching, pick-pocketing. This reason, you should avoid carrying expensive items or wearing expensive jewelry while walking in the streets. In some larger cities, especially Ho Chi Minh City, some cases of pick-pocketing and drive-by bag snatching have been reported. For this reason, it is important not to wear expensive jewelry, or carry too much cash when walking in the streets. So, maintain simplicity and completely avoid any sign of outward show of wealth. Leave behind all our cash and valuable items or language at the hotel room. Secondly, your safety on the roads cannot be ignored. 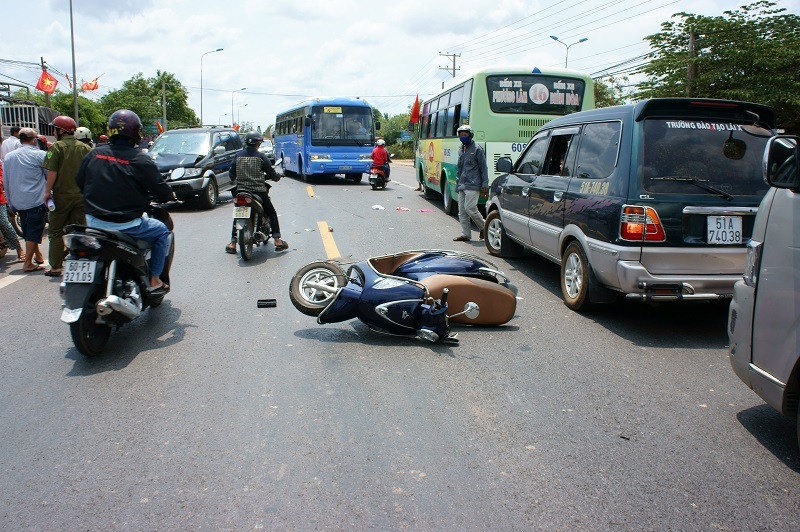 Although road safety is not an issue that is exclusive only in Vietnam, there is need to watch out on traffic especially on these major streets of Hanoi and Ho Chi Minh. The streets of these cities are characterized with stream of traffic including buses, cars, motorbikes, cyclists and scooters. This traffic occupies the street making the streets look like impenetrable organism. So for this thick traffic, what you can do as a safety measure is to follow their trend and try to imitate traffic flow then be enough to skip your way through. Don’t at any point stop at the middle of the road once you decide to move to cross the road. Trust that motorists and cars will slow down for you because drivers will see and know that you are now crossing the road. Thirdly is the safety of what you eat and drink while in Vietnam. This is country with safe meals but that doesn’t mean that you can drink or eat anything that comes your way. It is safest to drink your local water or just limited yourself to well-bottled water. Similarly, avoid taking unnecessary risks that can spoil you holiday by unwanted food poisoning that can be avoided. Be cautious of the food that enters your mouth and if anything, do inquiries and ascertain that what you are consuming goes well with your body. Fourthly, it goes without say that you must see your travel doctor to carry out a routine travel vaccinations before embarking on your trip to Vietnam. Vaccinations for diseases including Hepatitis A and Hepatitis B, Japanese encephalitis are mandatory for anyone visiting Vietnam or any other part of Southeast Asia. Malaria, typhoid and measles are also prevalent diseases in Vietnam that need vaccination prior to the trip. Taking travel vaccinations doesn’t mean that you always contact these disease but it just that prevention is always better that cure. In a nutshell, traveling to Vietnam is as safe as it is exciting. If you take into consideration the above simple precautions for your Safety of travel to Vietnam then you will surely have an exciting experience and a memorable holiday in this great country of Vietnam.